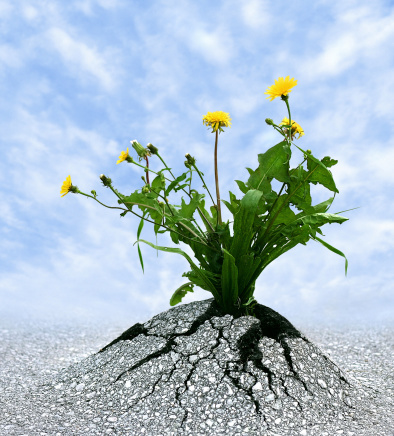 One of the more important characteristics of a successful business is resilience. Without resilience, a business that suffers any setback is far more vulnerable to hardship or even complete collapse. In fact, failures frequently precede success in many people's efforts in business or otherwise. Just look at some of these examples. Walt Disney was fired once because he "lacked imagination and had no good ideas." A recording company executive told the Beatles that he just didn't like their sound. Stories like this are accounts of people with the persistence to avoid defeatism in the face of difficulty. They had the needed resilience to keep going, to strive for future successes instead of wallowing in failure. Another lesser known example is that of Thomas Carlisle, who took more than a year to compile his monumental history of the French Revolution. A housekeeper mistook it for trash and out it went. Carlisle dedicated himself to re-creating it, and with three more years of hard work, recalled it from memory and produced the replacement--a monumental history produced with an equally monumental reserve of resilience in the face of defeat. One of the most familiar such stories in the business world is that of Austrian psychiatrist, Victor Frankl. Frankl survived Nazi Germany's, Auschwitz to become a leading proponent of a humanistic therapy approach for motivating more productive decision making. In Frankl's best-selling book, "Manâs Search for Meaning," he details the critical moment when he realized the objective of creating this revolutionizing form of therapy. Frankl's resilience was born of an ability to find meaning against all odds in a horribly negative situation. Finding meaning is just one of the characteristics of those with high resilience, though. Another, perhaps strangely, is an acceptance of reality - for only from a realistic acceptance of a challenging situation can an adequate response be generated to fix it. The investment bank, Morgan Stanley, had its offices in the World Trade center before that awful day on September 11, 2001. As it happens, Morgan Stanley had a diligent concern for preparedness, which included preparing for possible disasters requiring building evacuation. When the first tower was hit, it took them exactly one minute to begin the evacuation of their offices in the second tower. Only because of their preparedness and training were almost all of the company's 2,700 employees saved when the second plane struck its target fifteen minutes later.